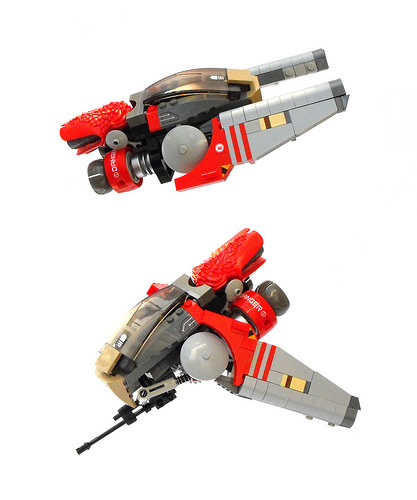 Adrian Florea returns to starships with the lovely Ziy-9 Xapuri. The swing-wing configuration is just dandy. What on earth is that red piece in the back. Great build by the way!